Click here to download useful Press material! The London Association of Enterprise Agencies Ltd. The main purpose of Startup Europe Partnership (SEP) is to link the most promising European startups with the large and medium corporates who are committing capital, seniority (involvement of heads of innovation office or coroporate development) and procurement channels. Its unique, scalable format, is the SEP Matching Events, to execute Matching, Mapping and Sharing activities. 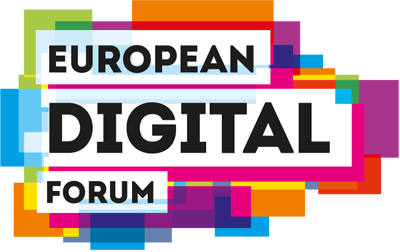 The European Digital Forum is a platform dedicated to empowering web entrepreneurs and growing Europe's digital economy. It is a first-of-its kind think tank dedicated to empowering tech entrepreneurs and growing Europe's digital economy. It gives a voice in public policy to the continent's most enterprising and innovative entrepreneurs. The LIFE project is about collaborative learning from failure in entrepreneurship and collaborative actions to bring entrepreneurship forward. It aims to overcome distributed markets and decentralised policy by providing access to pan-European case stories, talent and relevant expertise, to sufficient financing and to adequate facilities and networks. The project is committed to accelerating web entrepreneurship and strengthening its environment in the five local ecosystems of Berlin, Dublin, Milan, Madrid and Salamanca through the execution of several activities by organising joint activities with the involvement of players from the five local ecosystems. The final goal is to create a pan-European ecosystem in which every Web Entrepreneur in one of the local ecosystems feels belonging. STARTUP SCALEUP aims to help web entrepreneurs create the next generation of scalable Internet companies by providing services tailored to the specific requirements of the IoTS paradigm; to encourage investment for growth by creating a marketplace for investors that has critical mass. The project DIGISTART (Support Ecosystems for Digital Startups) is an EU funded research project in the area of startup ecosystems. The project aims to support European-Wide digital ecosystems through a set of coordinated activities targeting Lisbon and Malmo. It also aims to harness the capabilities of the largest European online platform for startups and web entrepreneurs: F6S, for providing online support to startups. 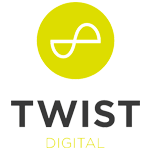 TWIST connects four existing local web entrepreneurship startup ecosystems and hubs (Rome, Lille, Warsaw and Stockholm) providing new services for web entrepreneurs aiming at scaling up and competing in the global market. Through the application of the "lean startup model", TWIST will help the accelerated companies to establish several valuable contacts to mentors and potential clients. WeHubs will support women web entrepreneurs in Europe and coordinate existing web entrepreneurs' ecosystem to provide dedicated services to women. The project will create a favourable environment for women entrepreneurs by linking together local fragmented ecosystem nodes and foster networking.